Hop aboard for three magical, musical adventures! 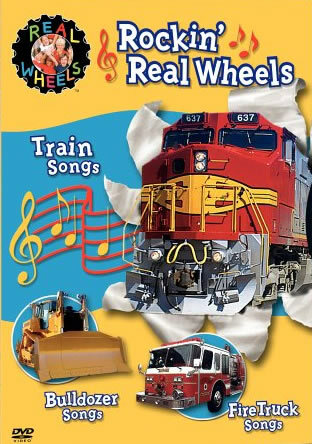 ROCKIN' REAL WHEELS takes a look at how a train works; the various parts of a fire truck; and how the mechanics of a bulldozer help it run. Fun and informative, this is a great way for kids to learn about some very important vehicles.